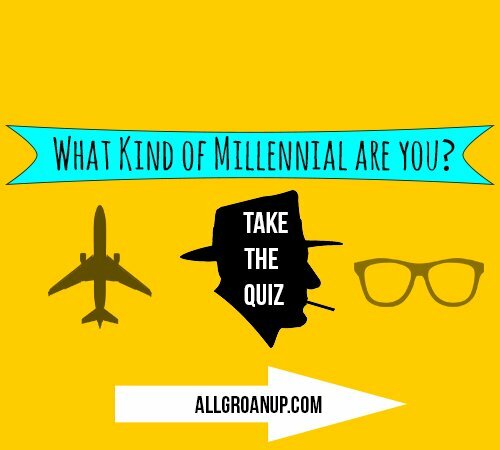 What are the best books to read in your 20s? If you’re looking for a graduation gift or Christmas gift for a 20 year old. 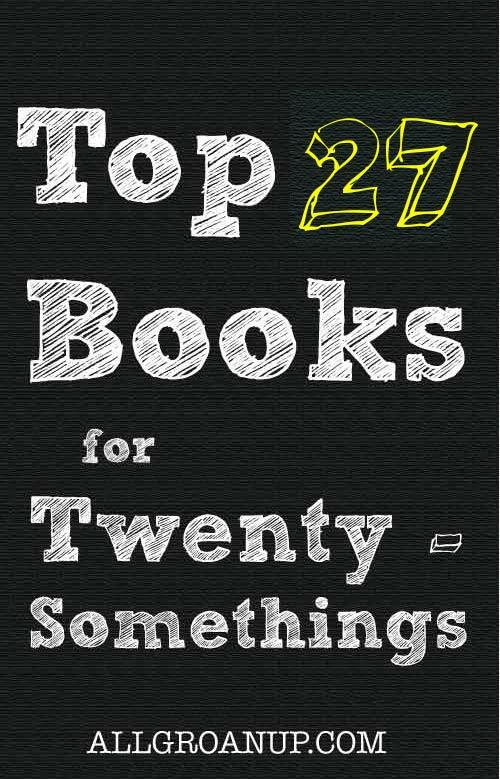 Or you just need 27 ideas for books to read in your 20s, well I’ve got THE list for you. I’m not going to “officially” put my three books on the list, but I am going to thank every one of you as 101 Secrets For Your Twenties now has 184 222 Five-Star reviews on Amazon, is on its sixth print, and has been translated for India, Russia, Thailand, and Vietnam!! 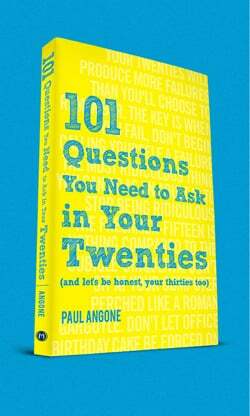 And I’m really excited about my new, follow-up book 101 Questions You Need to Ask in Your Twenties that is out now! It’s amazing to see what reviewers are saying already about 101 Questions. The new book has the same style and feel as 101 Secrets, but this time we’re digging deeper. 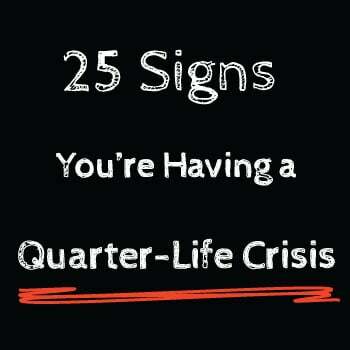 If we want to find clarity and answers for our 20s, we need to first start with the right questions. I can’t thank the community here at All Groan Up enough for helping launch these books for twentysomethings. None of this happens without the readers here. And what better way to celebrate than to talk about the 27 books that influenced me on this quest for finding the best questions and answers for our 2os. I’d eat inspiring, historical books for breakfast if my budget and body would allow it. Boys in the Boat is one my newest favorites because it’s packed with so much life-wisdom, specifically for emerging adults struggling to find their place. Read my full review of Amusing Ourselves to Death. 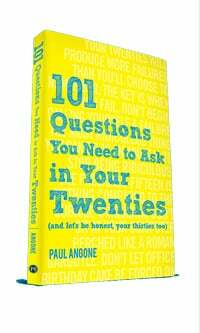 Check out my new book 101 Questions You Need to Ask in Your Twenties. 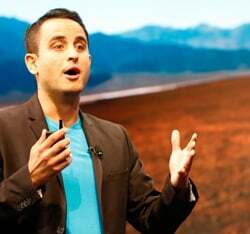 “On such a flat earth, the most important attribute you can have is creative imagination.” – Thomas Friedman. Written by a Catholic monk, this book is packed with so much wisdom on spirituality and living life well, that you could sit with this book for a year and just scratch the surface. (Link to No Man is an Island). One. This book is hilarious and insightful. 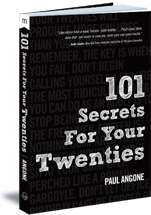 Find help for your 20s with Paul Angone’s best-selling book 101 Secrets For Your Twenties. 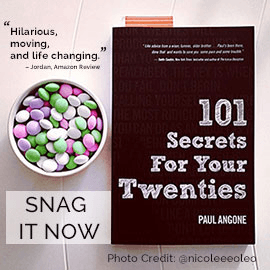 Check out what other twentysomethings are saying about 101 Secrets For Your Twenties. The difference between a “growth mindset” and a “fixed mindset” might be the biggest difference you can make in your twenties. I’d love to hear from you within the comments on this article: Do you have any favorite books for 20somethings in the list above? Did I miss some books every 20 year old should read? If you buy any of these amazing books through the links above, you’re also helping support the work here at All Groan Up as well! Double-win!